Sam McCready as actor at Lyric Theatre. Sam McCready: Baptism by Fire: My Life with Mary O’Malley and the Lyric Players, Lagan Press, Belfast, 2007. This is not a recently published book, but it fell into my hands recently, partly as a result of Tinteán’s series of articles marking the death of Seamus Heaney, and I thought it worthwhile bringing it to the attention of readers of this magazine. 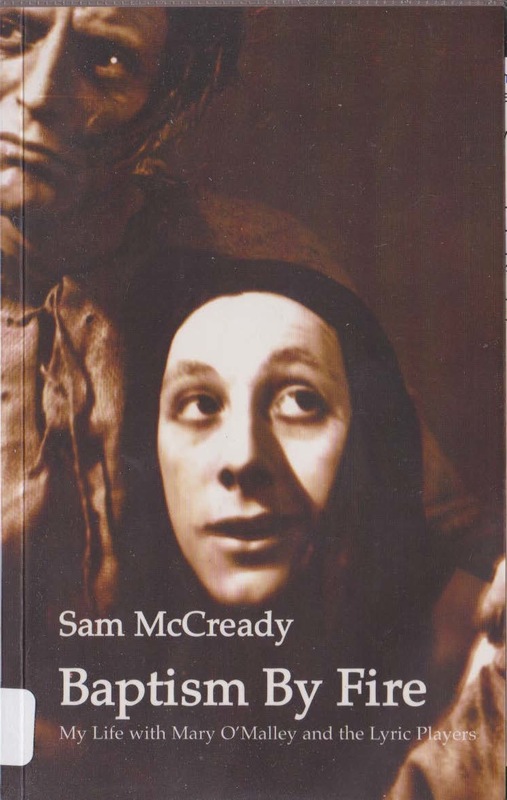 This book is a memoir by one of the leading theatre practitioners and teachers in Northern Ireland, Sam McCready. It tells the vivid early history of the Lyric Theatre in Belfast from its founding in 1951 by Mary O’Malley and her husband Pearse at their home in Derryvolgie Avenue until the establishment of the first of two theatres on the banks of the Lagan in 1968. As the title suggests, the theatre had a very tumultuous beginning, and this narrative gives a grainy account of those first two decades, before Field Day, and then jumps to the death in 2006 of Mary O’Malley, its founding force of nature. Building the new theatre which opened in 1968 so sapped her energies that she had withdrawn soon after and returned to the South, but before this phase of the enterprise, she had been a powerhouse whom McCready styles as doing for the North what Lady Gregory several generations earlier had done at the Abbey. McCready tells a great story of a passion for theatre which began as an individual’s campaign and morphed into a communal one. Mary O’Malley’s first theatre (until a purpose-built one was constructed nearly 20 years later) was in a converted ‘multi-storied barrack of a house’ that had formerly been home to the Northern Ireland Fire Service. Although the house was large, its theatre space was studio-sized, tiny with improvised entrances and exits into the domestic parts of the house, until it was extended in 1957. But on that ‘toy theatre’ stage in the Derryvolgie Avenue house, and in adjoining rooms, came together a vast assemblage of creators of all kinds: actors in many age cohorts (including children learning their craft), musicians, set-designers who were abstract artists (like Alice Hammerschlag, a Viennese survivor of Auschwitz), voice and poetry coaches, dancers, choreographers and costume-designers (like Helen Lewis). McCready makes much of how Belfast in the 1950s was a cultural desert, and I wondered if, in terms of serious literary theatre, the same could not also be said of many cities in the western world; certainly ’50s Brisbane and Melbourne were not too dissimilar from Belfast. The commercial theatres were moderately busy, and it was at the Grand Opera house that Sam got his first small roles, but small theatres were creatures of the ’40s, ’50s and ’60s. Dublin was perhaps an exception and an inspiration in this regard, with its various vital periods of theatre dating from the turn of the twentieth century. McCready tells a credible story of a woman whose intensity and high (sometimes idiosyncratic) demands put Mary at odds with people, and she was guilty of pushing them too hard. In addition to acting, Sam was called upon to peace-make, thereby enabling the creativity to go forward despite the prickly imperious personality of the main begetter. One of the inevitable tensions at the Lyric was the cultural divide in Belfast itself as the theatre, run by a Cork-born nationalist outsider who favoured the plays of the Irish Literary Renaissance, brought into its orbit Protestants and Unionists – people like McCready, who trained as a teacher of drama at Stranmillis Teacher’s College (having knocked back a scholarship to RADA for lack of confidence that he could afford, or access tights, a rudimentary part of the trainee actor’s kit). The theatre was undoubtedly a triumphant force for reconciliation in a heavily sectarian and divided community. 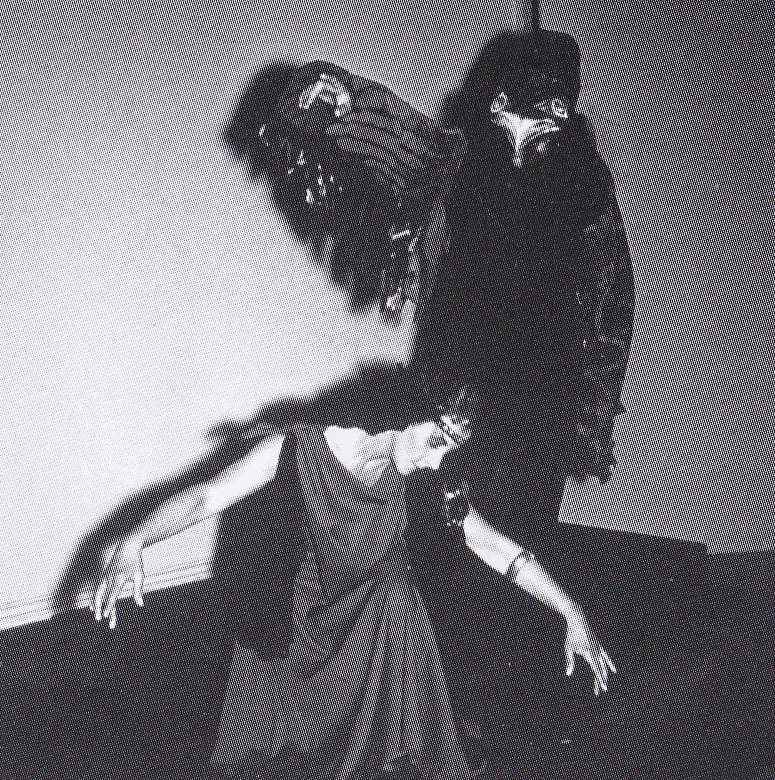 Helen Lewis and Sam McCready in At the Hawk’s Well, 1960. Her choice of repertoire served to introduce the young and gifted teacher to the mythology of Ireland and the Ulster cycle – it became his ‘school of Irish literature, art and culture’. Yeats’s plays, no longer often performed, were central to the repertoire, so much so that Micheál MacLíammóir introduced her to the Abbey Board as ‘Hail Mary, full of Yeats’. McCready stresses the multi-arts collaboration that Yeats’s plays require, calling on skill in poetry, music, paining, sculpture, mask-making, interpretive dance and music, and mime, all working harmoniously and ceremoniously. Eventually, these productions became so refined that the Lyric was in demand for performances in Dublin and at the Yeats School in Sligo. This is a fascinating account of a small theatre which was of immense significance not only for the theatrical work it did, its training of actors, its theatre schools, but also for its cultural work in Belfast and Northern Ireland more generally. What a tragedy that its crowning achievement, a purpose-built theatre, could not be enjoyed by those who created the conditions for its existence. But the Lyric, even without Mary and people like Sam, did have a life after Mary, and continues into the present with the brief of producing ‘indigenous’ NI theatre. Frances has a longstanding interest in literary theatre, and is a member of the Editorial team of Tinteán. My mother, Peggy Hussey (1911-1992), would have loved this book. Graduate of the London Guildhall School, she was one of RTE’s first drama producers, and a leading light in Dublin’s amateur drama scene of the 40’s and 50’s. I have forwarded this review to her grandson, VCA-graduate John-Paul Hussey, who, a bit like McCready, turned down one of only ten places in Trinity College’s new BA in Theatre Studies (1986) in favour of migrating to Australia. John-Paul’s ‘Monkey Trilogy’ speaks of some painful moments in his life, the first of which took place in Belfast when, at the age of two, he was separated from his mother while she spent five months in the Royal Maternity.